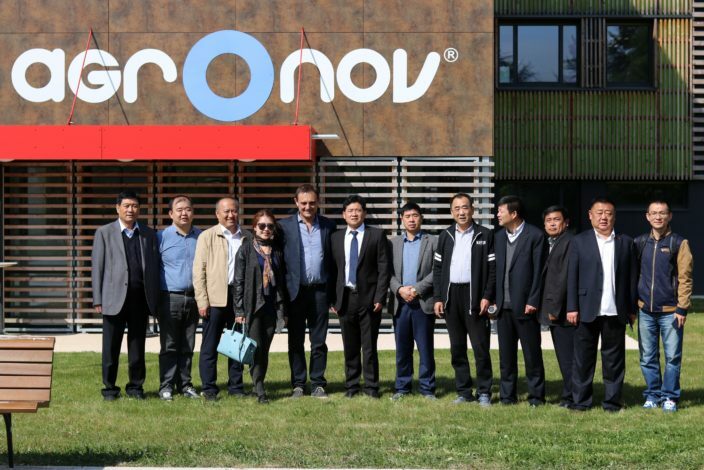 On the morning of April 13, 2017, AgrOnov had the honor of receiving a delegation of industrialists from the Yongcheng Region as part of a partnership with Vitagora. 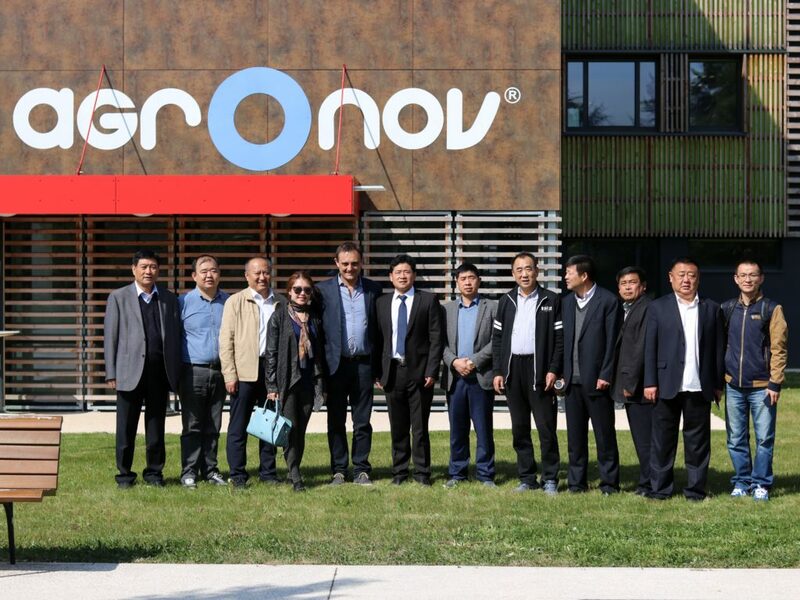 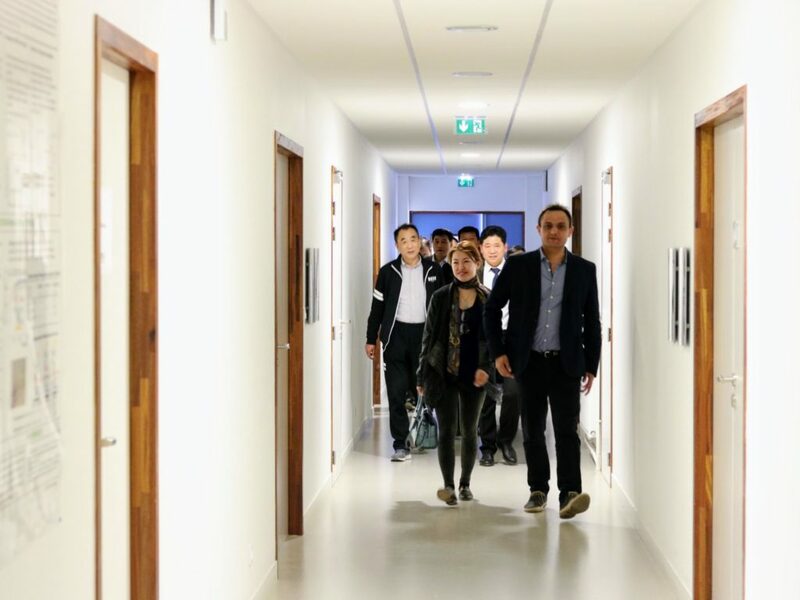 The visit of the Yongcheng Region (city of Henan Province in China) and of companies from the cereal sector was part of the presentation of structuring projects in agri-environment led in connection with Vitagora. 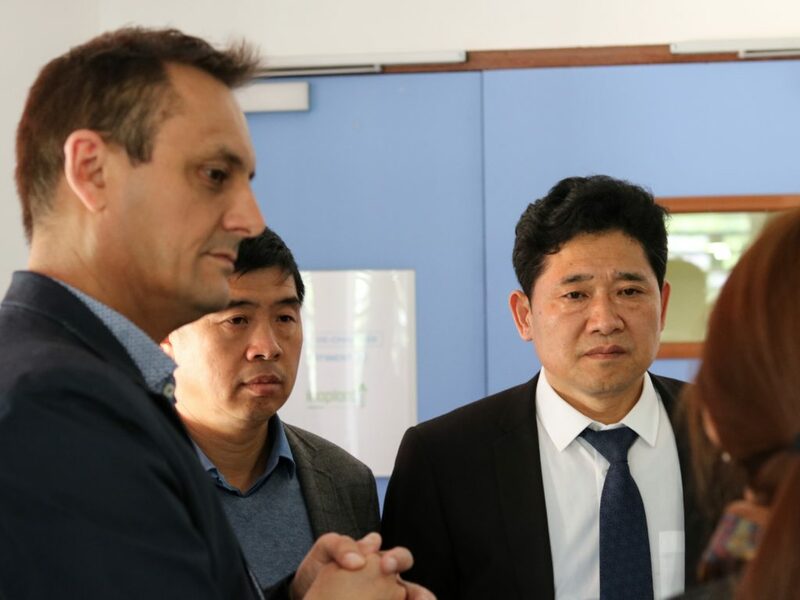 Its purpose was to present to this delegation the know-how of the regional players in the wheat industry “from field to fork”. 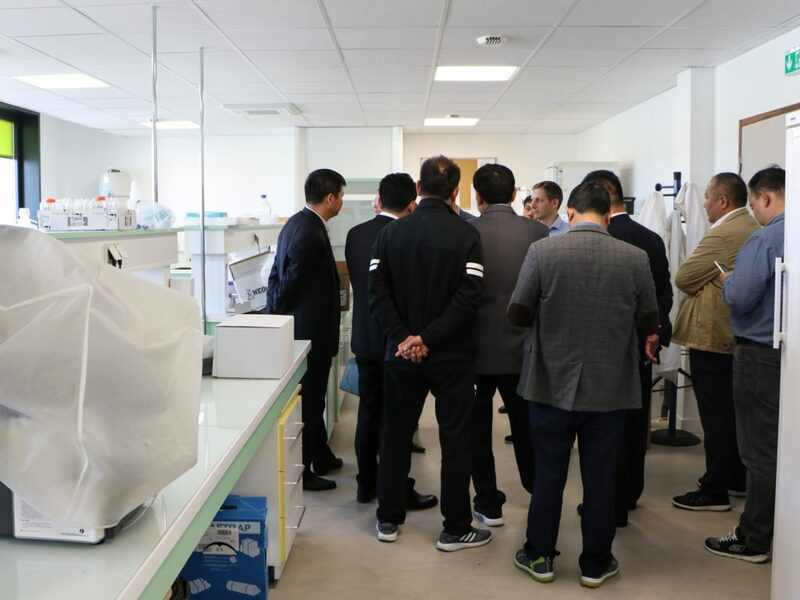 With its expertise, the network of partners wanted to value the coherence of each tool, each structuring action, within the innovation ecosystem. 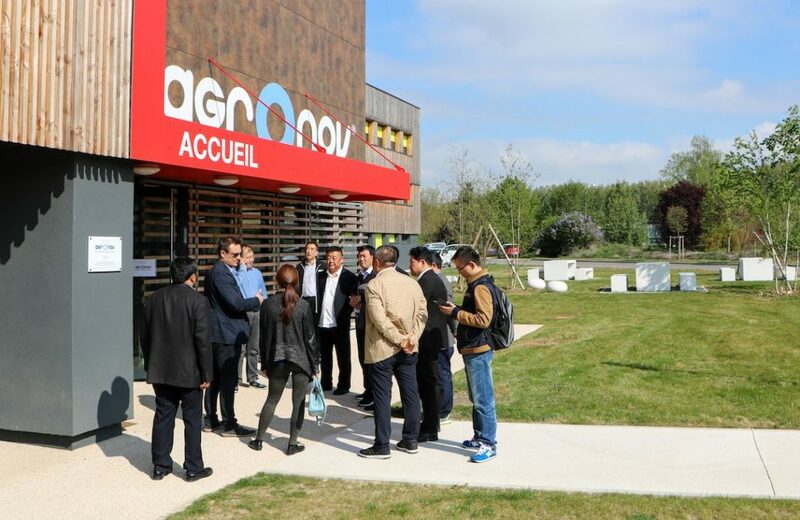 In this context, the regional leaders of the sector were presented: Dijon Céréales, main agricultural and agri-food group of Burgundy-Franche-Comté, the Artemis platform, the Cerelab laboratory, but also AgrOnov, the European pole of innovation in agroecology, supported by the Vitagora competitiveness cluster. 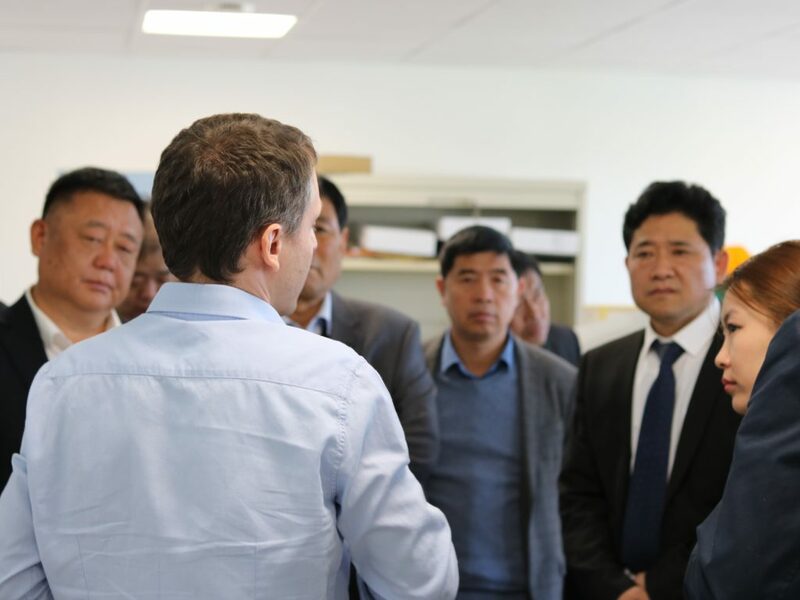 Guided by Frédéric Imbert (co-director of AgrOnov), the industrial delegation was able to discover the AgrOnov missions and the know-how of the innovation cluster companies through the visit of the experimental greenhouses and of the SEDIAG laboratories, specialized in phytodiagnostics. 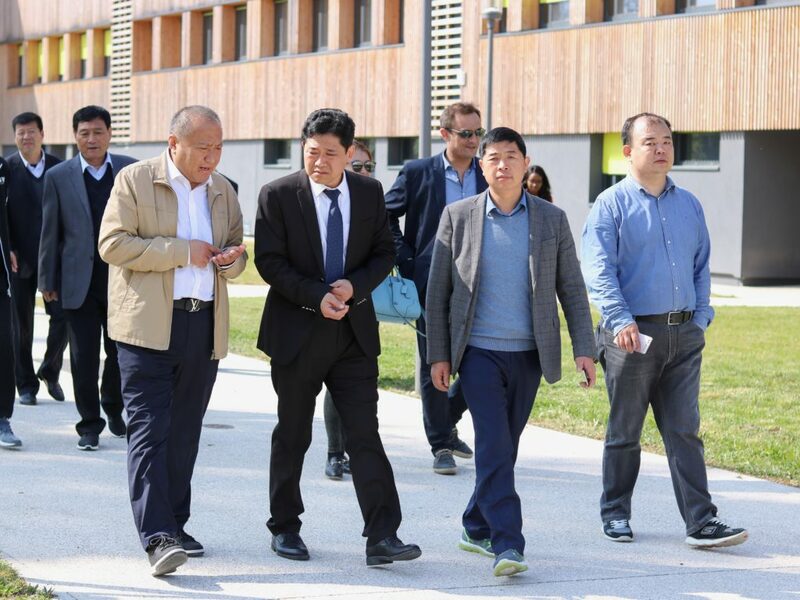 A great opportunity for regional players of the wheat sector to enhance their skills, with the aim of initiating international partnerships, source of economic development.